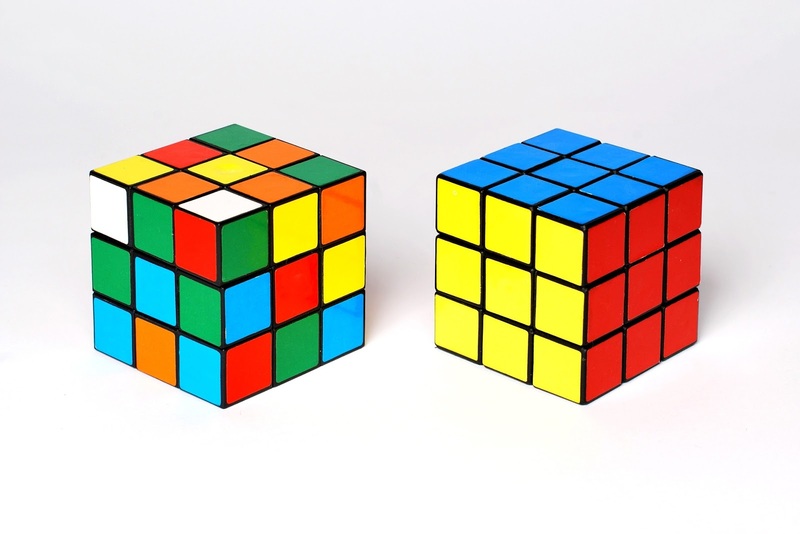 ELZABURU, Intellectual Property: The Rubik’s cube: a shape necessary to obtain a technical result or a distinctive sign? The Rubik’s cube: a shape necessary to obtain a technical result or a distinctive sign? The outward appearance of goods is having an ever more important bearing on the decision of the consumer to make a given purchase. As a result, the filing of applications for three-dimensional trademarks, with a view to protecting shapes likely to influence that decision, has become a common practice. However, the registration of marks of this type, consisting of the shape or representation of a product without anything else, has always been a controversial issue. The problem lies in striking a balance between granting an exclusive right to the trademark owner and avoiding the creation of a monopoly in the marketing of a given product. From the prohibition on registration laid down in article 7.1e) EUTMR it follows that the three-dimensional trademark cannot and must not act as a system for the protection of technical results. For that purpose there are other more appropriate legal instruments, such as patents or utility models, whose limitation in time is essential to the proper functioning of the system for the protection of inventions. That prohibition seeks to draw a line between the trademark and patent systems, preventing the grant of an exclusive right without limitation in time which would in practice entail the perpetuation of a monopoly in a technical solution. At times, however, it is not easy to pinpoint those representations whose purpose is to protect the sign which identifies the business origin of a product rather than the technical features of that product. The case of the “Rubik’s cube”, which has reached the Court of Justice of the EU, relates to that issue. In 1999 the British company Seven Towns Ltd registered EU three-dimensional trademark No. 162784, in the shape of the Rubik’s cube, in respect of “three-dimensional puzzles” in class 28. In 2006 the toy manufacturer Simba Toys GmbH & Co. KG filed an application for a declaration of invalidity of that trademark. The EUIPO dismissed that application and Simba Toys then appealed to the General Court. The essential characteristics of the mark are, on the one hand, the cube in itself and, on the other, the grid structure on each of its faces. The black lines do not refer in any way to the rotatable capacity of the individual elements of the cube and therefore do not perform any technical function. The rotating capacity of the cube (the technical result) is attributable to an internal mechanism not visible in the graphic representations. The registration of this trademark does not permit the owner to prohibit third parties from selling any type of three-dimensional puzzle with a rotating capacity. The exclusive right extends only to three-dimensional puzzles in the shape of a cube with a grid structure on its faces. The cubic structure differs significantly from the representations of other three-dimensional puzzles available in the marketplace and therefore has distinctive character. 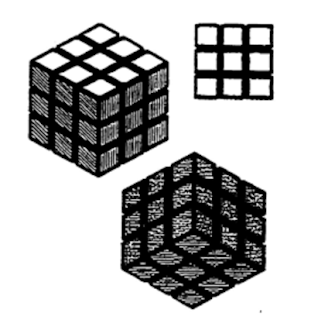 In short, the General Court held that the representation protected under the trademark has distinctive features (the black lines and the grid structure they form) above and beyond the internal mechanism of the cube which cannot, in any event, be perceived in the graphic representations of the sign. Simba Toys then appealed to the Court of Justice (case C-30/15 P) and the Advocate General recently released his opinion. The Advocate General takes the view that the General Court erred in finding that “the graphic representations of the contested mark do not make it possible to determine whether the shape in question involves any technical function or, if so, what that technical function might be. … it cannot be inferred with sufficient certainty from those representations that the cube in question is made up of moveable elements and even less that they are rotatable.” He maintains that although the General Court identified the essential characteristics of the sign, it failed to analyze the relationship between these and the technical function inherent in the goods. Unlike the General Court, the Advocate General considers that the grid structure of the cube does not constitute a decorative and imaginative element but performs a technical function, since it divides the movable elements of the puzzle rendering them rotatable. He stresses that, when analyzing the functional elements of a shape, the competent authority is not required to restrict itself to information arising from the graphic representation but must, where necessary, also take account of other relevant information. It is for this reason that he finds that the sign consists of the shape of a product which only performs a technical function, without the addition of significant non-functional elements, that shape being the one needed to permit the rotation (the technical result) of the individual elements which the product in question (the puzzle) comprises. Let us recall that the prohibition laid down in article 7.1e) EUTMR, relating to shapes resulting from the very nature of the goods, serves to prevent an undertaking from using trademark law to obtain a perpetual monopoly in a category of goods. The aim is to ensure that there may be freedom of competition in the marketplace by thwarting possible attempts at the appropriation of the shape of a product which, through its very nature, must have that shape. The Advocate General concludes that, since the Rubik’s cube contains no arbitrary or decorative characteristics, it ought not to be registered as a trademark, as significant restrictions would otherwise be imposed on the freedom of other economic operators to offer for sale goods characterized by the same or even a similar functionality. He adds that the fact that the trademark proprietor did not append to its application for registration a description of the way in which the puzzle works allows the scope of the protection arising from the registration to take in every type of puzzle with a similar shape, regardless of the principles by which it functions, thus enabling the proprietor to extend its monopoly to the characteristics of goods which perform not only the function of the shape in question but also other, similar functions. We shall have to wait some months for the Court of Justice to deliver its judgment. Then we shall learn whether the Rubik’s cube is to remain registered as a trademark or not.